Designed to protect, preserve and promote health of color treated and chemically serviced hair, Eufora has used its unique blend of botanical extracts and Aloe Vera properties to design the most natural way to keep your hair looking beautiful. Most products use water as a base but Eufora has raised the performance standard by using certified organic Aloe Vera gel as our product base. Known as the miracle plant, aloe is rich in over 200 biologically active substances, including 75 nutrients, 20 minerals and 12 vitamins. Aloe contains elements that are essential to cellular healing, renewal and growth. Aloe also delivers amazing antibacterial, anti-viral and antiseptic properties. It is a naturally effective solution to help alleviate the symptoms caused by skin and scalp conditions such as acne, dandruff and seborrhea. Eufora is the only salon professional product line to provide certified organic Aloe Vera in the optimum quality and concentration required to deliver its true power. Along with Aloe Vera, Eufora products utilize the most advanced botanical ingredients available, as well as pure essential oils to fragrance all products for an aromatherapy experience. Eufora products are known for quality ingredients, but almost as impressive are the ingredients missing from Eufora products. We don’t use synthetic fragrances, Sodium Laureth Sulfate, carcinogenic or suspected carcinogenic ingredients in any of our products. 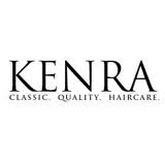 Kenra has been formulating and producing salon quality hair products, using only the finest ingredients for the past 50 years, and developed within their own facilities and laboratories as well. Formulated to have the same low pH levels as the acid mantle of the hair and scalp, Kenra hair formulas are milder than most other brands, resulting in only healthy, damage-free hair. The Kenra hair brand has been featured and recommended in many magazines and thousands of cosmetologists across the nation. It is no surprise that with the special and patented ingredients found in the Kenra hair treatments, you will also appreciate it's potent sunscreens, antioxidants, plus other color preserving UV protectants, that give Kenra hair care its reliability, consistent performance and satisfaction among all of its users. Kenra hair solutions will enhance individual styles and dramatically improve the health and appearance of your hair everytime. products for the entire family. The TIGI brand consists of Bed Head, Catwalk and S-Factor and is ready to show you what your hair deserves. OM PUR is the eternal sound of creation and manifestation of life in truth and purity. It is a giver of well-being and rejuvenation.This is the essence of the meaning of OM PUR skin care. The ALIVE quality of OM PUR Alive & Ageless Skincare exists because our products are made from energized, living wildcrafted, organic and natural ingredients. OM PUR skin care products are free of damaging chemicals and do not use denaturing heat processing during manufacture. 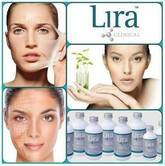 No ‘dead’ ingredients or inactive fillers are used. 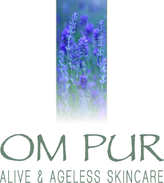 As a result OM PUR is 100% active with pure vitality. Each product is teeming with restoring and regenerating nutrients that are synergistically formulated to make a positive difference in the health and youthful quality of your skin.